(ii) development of a conceptual GIS model and subsequent creation of a GIS platform (in compliance with the European regulation for web data entry) for the integration and interchange of information from and among the ESRs and ERs of all WP along the research and training programme. The GIS will also be made available in open access to all via the Internet and, in order to maximise its analysis potential, it will be developed in such way that will allow linkage with other databases. Besides being a shared database, such platform can revolutionize historical analysis with the potential to be supplemented with additional parameters in the future. Before formulating the conceptual model and the subsequent GIS, the checking and unifying of the data collection has to be achieved. This entails selecting common and specific variables, as well as formulating the fields that are necessary in the model for the information to be entered correctly. This will be done in relation to each historic period and geographic area. Due to the massive amount of existing archival and historiographic documentation available, and to ensure the research efficiency of each ESR, next topics are defined: (i) Archival data collection; (ii) Databases and server management; and (iii) web development and metadata editing. 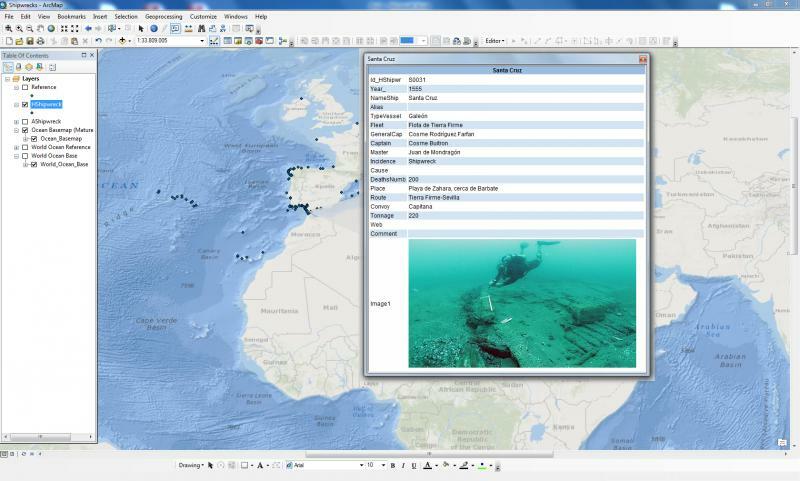 GIS application design concerning Iberian shipwrecks between XVI-XVIII centuries is developed on the context of ForSEAdiscovery project.The overall research goal is to investigate the wood provenance and shipbuilding and to determinate if there some pattern for the Iberian ship definition. In particular, we have focused on the study of Iberian shipwrecks to locate ancient ships of this period and collect underwater timber samples. Later, they will analyze with several dendro-archaeological analyses and so we could determine and know the origin of timber and forests, the influence of shipbuilding, and trade routes in the Age of Discovery and European expansion. 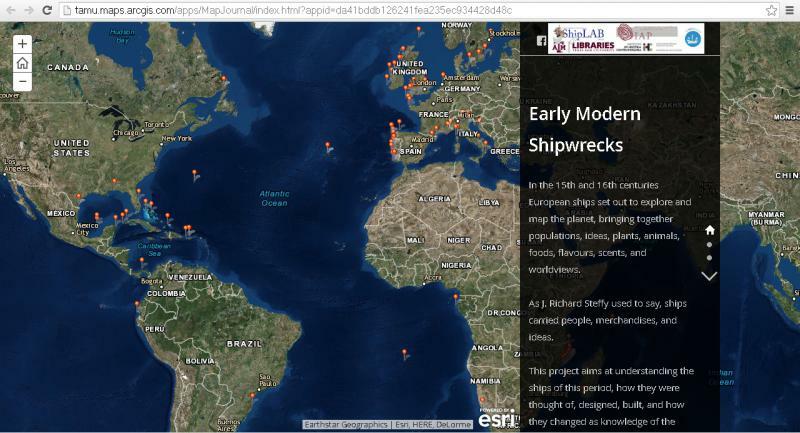 In order to achieve that, a new approach was developed for mapping the historical data of ships and shipwrecks database. Historical GIS: Iberian shipwrecks developed by Maria José García Rodríguez. Instituto de Historia. CCHS (CSIC). 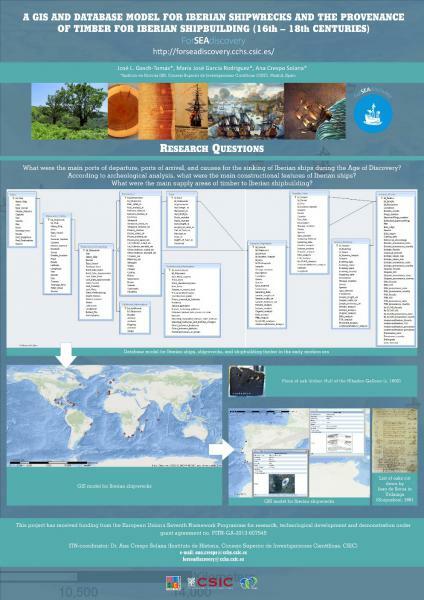 The Early Modern Shipwrecks Interactive Database is developed by Filipe Castro (Anthropology Department) and Cecilia Smith (Maps & GIS, University Libraries) of Texas A&M University. 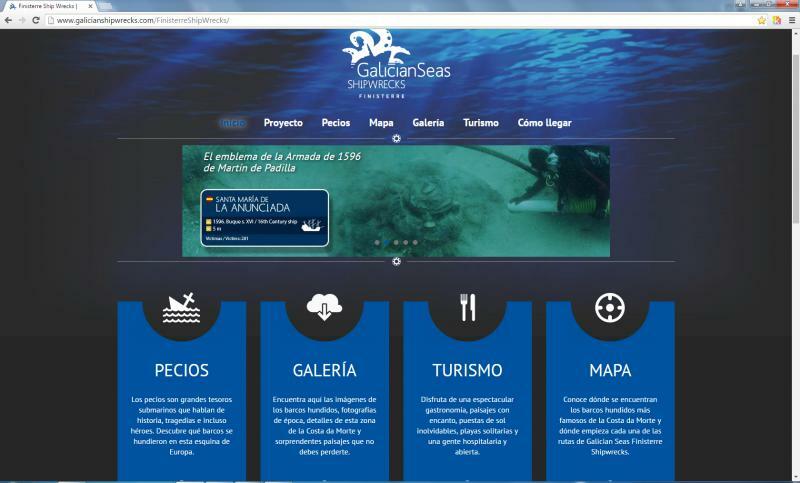 Galicean Seas Finisterre is oriented to value the underwater heritage of the Spanish northwest and, specifically, project of shipwrecks throughout history in waters of the Costa da Morte between Fisterra and Porto do Son. This project is promoted by the Grupo de Acción Costeira Seo de Fisterra, Ria de Muros and Noia, funded by the European Union and led by archaeologist Miguel San Claudio Santa Cruz.